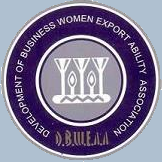 Development of Business Women Export Abilities Association (DBWEAA) is a self financed and independent NGO, formed in 2000 under Egyptian Law no 84 for the year 2002, registration # 1343.
help SMEs to make international promotion for their product through international trade fairs, conferences, seminars, network meetings, as well as business exploration trips and develop relationships with similar international organizations. 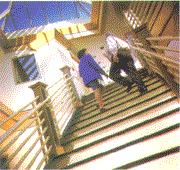 DBWEAA now provide the SMEs with a wide range of educational activities (training programs, seminars and workshops) customized to each cluster and enterprise. 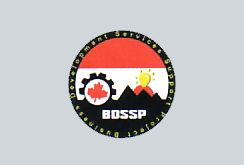 DBWEAA will cooperate for the next six years with the Business Development Services Support Project (BDSSP) funded by the Canadian International Development Agency (CIDA) to provide technical assistance and export development services to 40 SMEs mainly in 4 clusters (food, furniture, textile and leather), as well as to promote their products / services in the international market.